You Can Have a Smile You'll Love! When you look in the mirror, are you happy with your smile? Or are dental imperfections keeping you from smiling with full confidence? Porcelain veneers are ultra-thin shells of tooth-colored material that are placed on the front of your teeth to enhance their appearance. They can instantly change the color, shape, and size of your teeth, giving you the gorgeous smile you’ve always wanted! Finding your perfect smile is an exciting adventure and we can't wait to share it with you! 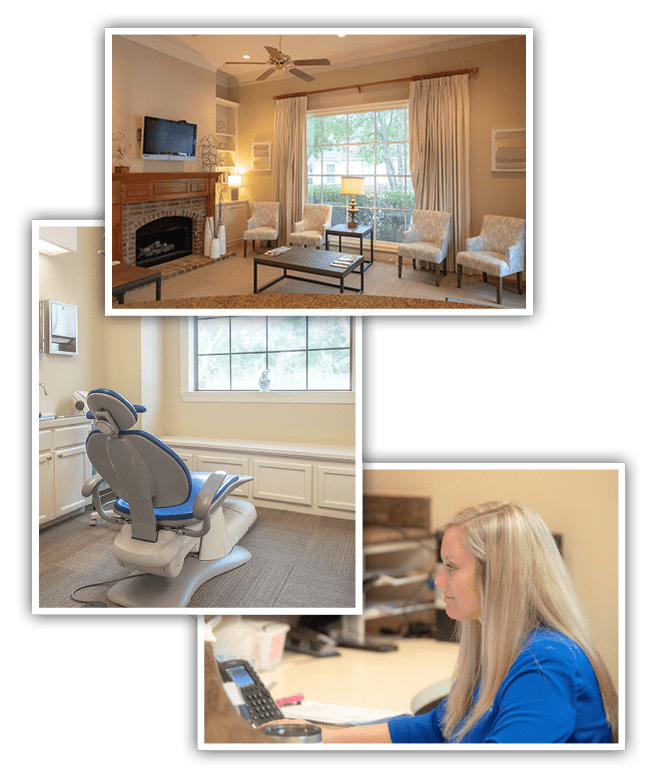 We will first set up a personal consultation with either Dr. Liz or Dr. Dustin Kidder where you will discuss what you want for your new smile. This is the time to ask any questions you may have about the process. We will create a treatment plan that is personally customized to you. We will create a prototype of your new smile. While your permanent veneers are being made, you’ll be able to wear temporary veneers so you can “test drive” your new smile. We partner with a very talented and highly-skilled local lab to craft your beautiful restorations. Your permanent veneers will be ready in just a few weeks, and you’ll return to our office to have a final fitting. Your makeover will be complete. Now let your confident, new smile shine! Baton Rouge’s BEST dental care! Dr. Kidder goes above and beyond! Do You Want Beautiful Results? So Do We! Your smile + our team = The perfect pair! At Kidder Dental, “good enough” is not good enough! We aim for superlative! Whether it’s providing outstanding general, restorative, or cosmetic dentistry treatments or providing you patient care that makes you feel like a rockstar – we want to give you the “wow” experience. We go the extra mile – From that first welcoming smile that you see when you walk through our doors to our thoughtful aftercare follow-up, we want you to know that our priority is YOU. We are here to serve your needs! Soothing patient comforts – Our relaxing amenities have been specially designed for your comfort. From comfy neck pillows to calming sedation options to help you overcome anxious feelings, we are here for you! Outstanding dentistry – Dr. Dustin Kidder and Dr. Liz Kidder are our dynamic “dental duo.” Their excellent skills and education offer our patients next-level dentistry that focuses on getting to the root of problems and fixing them! Get the answers below from our Baton Rouge dentists. The answer to that question depends on how well you care for them. Veneers can crack or chip if you use them to bite down on hard foods or objects. Although veneers are not affected by decay, your natural teeth that support the veneers are. Make sure to follow an excellent home hygiene routine and to see your dentist regularly to keep your teeth and gums healthy. With proper care, veneers can last for decades! Keeping your regularly scheduled maintenance visits with Kidder Dental will help keep your veneers and the adjacent teeth (which are susceptible to staining) in uniformly great shape. Can a veneer fall off? Yes, it can happen. Although, it is rare. Sometimes, due to use or aging a veneer can become loosened and detach. If this should happen, do not try to reattach the veneer yourself, instead, contact our office immediately. Many times, the veneer can simply be reattached, but if it’s damaged, it may need to be replaced. If there is any damage or decay to the underlying tooth that needs attention before replacing the veneer, our dentists can take care of it and make sure your veneer is properly placed and permanently attached on your tooth.